Just past week, we reported that gold edition of Lumia 830 is launching in China with other regions to follow.Now, Techrum.vn reports that Gold Edition of Nokia Lumia 830 and Lumia 930 has launched in Vietnam. It seems that Microsoft has always been interested in the Vietnam Market. The devices will be available in White and Black color with the same price tags. The Nokia Lumia 930 will sell for 10.9 million VND (around $510) while the 830 will retail for 7.99 million VND ($374) which is great price for such premium devices. Both devices will be distributed through FPT or the usual retailers. 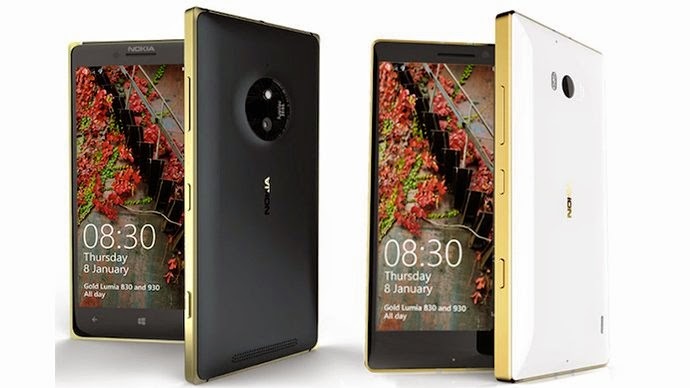 What do you think of the these gold Lumias ? Do you plan to buy one when it lands at store nearest to you? Do share in the comments below.